Decorate your home with a beautiful hand-knotted afghan runner which is woven in pure wool and cotton material. 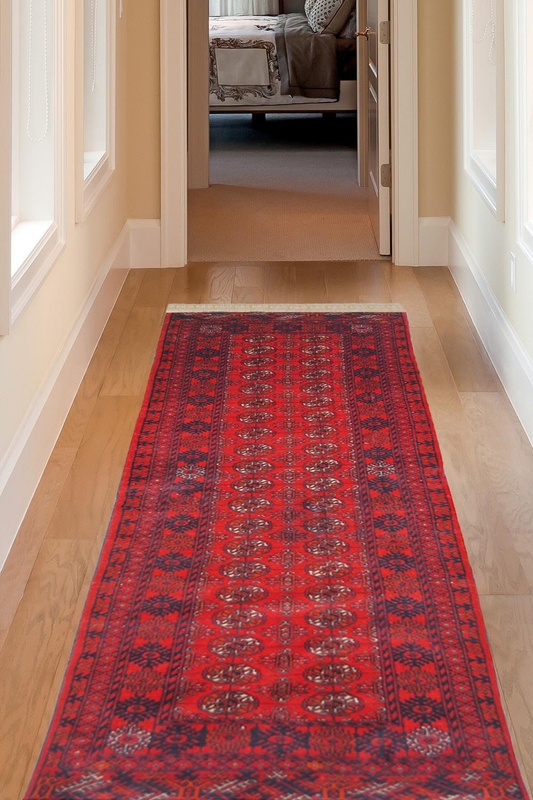 It is 100% hand washable and a highly durable carpet runner. Decorate your home with this beautiful afghan runner which is basically a type of tribal carpet. Give an attractive look to your floor by placing this magnificent runner in corridor or bedside in your bedroom. In this afghan runner, wool and cotton have been used. You can easily wash it at your home.